Tanya as a girl; meet her today! "I grew up on the beach on Long Island Sound, so tide pools and jetties were my playground. I always read a ton of books, and would take out more than I could carry from the library on the weekends. My dad is a professor and writer and my mom was an elementary school librarian, so books were everywhere in our house. My dad built me a kid-sized reading loft only I could climb up to--I spent hours up there! In high school, I studied music at a performing arts high school. In college, I was an English major at Oberlin, which gave me the perfect excuse to spend all my time reading and writing. 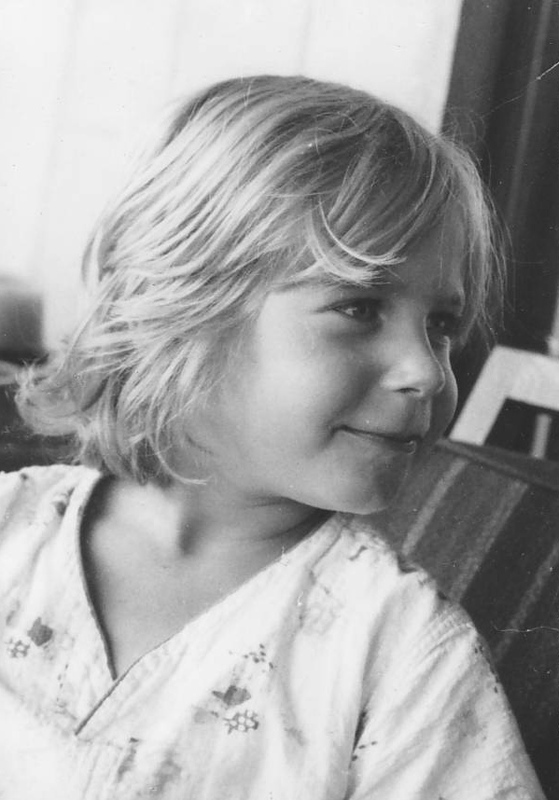 And after college, I was an editor until I moved to Vermont in 1996 and became a writer. "I love to write about ordinary people who do extraordinary things and shine the light on their little-known stories. Change happens slowly, many times because people quietly push through barriers and move things forward until bam! someone else makes a big splash. But headline-makers often stand on the shoulders of those who first paved the way for them to follow. 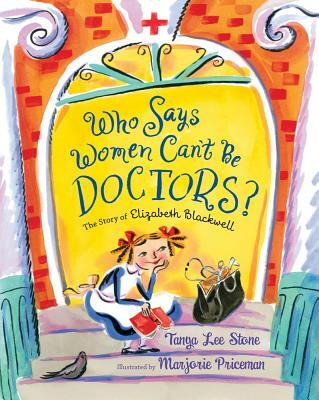 "You can read about some of these trailblazers in my new books Courage Has No Color and Who Says Women Can't Be Doctors? I have been very fortunate to have some of my books win awards, which helps ensure that more people will read them!" Check out the Readers' Guide for Courage Has No Color. 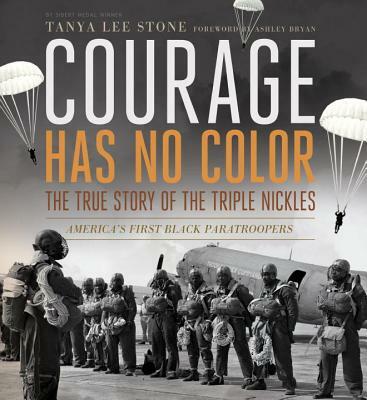 Tanya is the author of several acclaimed books for young readers, including Courage Has No Color, The True Story of the Triple Nickles: America's First Black Paratroopers (Candlewick, 2013), Who Says Women Can't Be Doctors? The Story of Elizabeth Blackwell, illustrated by Marjorie Priceman (Holt/Christy Ottaviano Books, 2013), The Good, the Bad, and the Barbie (Viking, 2010), Almost Astronauts: 13 Women Who Dared to Dream (Candlewick, 2009), Elizabeth Leads the Way: Elizabeth Cady Stanton and the Right to Vote, illustrated by Rebecca Gibbon (Holt/Christy Ottaviano Books, 2008), Sandy's Circus: A Story About Alexander Calder, illustrated by Boris Kulikov (Viking, 2008), and A Bad Boy Can Be Good for a Girl (Random House/Wendy Lamb, 2006). What does the writing community mean to you? I have been writing for 16 years, and was an editor before that. A majority of my closest friends at this point are fellow writers. We have met at conferences, retreats, and on tour, and friendships have grown and become a central focus of my life. These are the people who innately understand the ups and downs of the business side of our profession, as well as the thrills and challenges of the creative aspect. I also have a few writer friends who are my first readers. We read for each other when needed, or asked. And in general, this is one of the most supportive communities I have ever been in--we pick each other up when needed and cheer for each other's successes. I think that having the luxury of being able to wake up and do what you love, and actually get paid for it, is a pretty successful thing. Not to mention the perks of working in pajamas if you're tired, and not having to punch a clock, which are both extremely nice. I did not have those opportunities when I worked in an office as an editor! But really, success comes in many forms, and I suppose has different levels, but for me what is at the core of feeling successful is that I love what I do, and I'm able to do it for a living. That other people actually like to read my books on top of that, is pretty fantastic! If I can continue to write the books I want to write, for as long as I want to do it, I will consider myself successful. Would you describe your career as a hike up a mountain, a winding road, a path of hills and valleys or hop-scotching from rock to rock across the rapids? Why? I would most definitely consider my career as a hike up a mountain (although I still have a long way to go to reach the top!). I have the thick folder of old rejection letters to prove it. When I started writing professionally, I wrote a lot of linear, straightforward library market nonfiction books for kids--12 books on backyard animals, 10 books on biomes--that kind of thing. I really strengthened my skill sets doing that. Then I tried to sell single title, less straightforward books to the trade (that's when the rejection letters started coming in). Even though I was a skilled writer from writing the library market books, it took a few more years to learn how to be more creative in my approach and focus on writing only what I was passionate about. Eventually, that is what worked for me. I remember when I won the Sibert Medal for Almost Astronauts, a writer friend said to me, "You're an overnight success! It only took 10 years." That about sums it up! Tanya's new pup, ready for his role in "Fiddler on the Roof"
Courage Has No Color 90 second book trailer from Tanya Lee Stone on Vimeo. Thanks for this--I love Tanya's Bad Boy novel in verse! I thought this was such a well done book about the Triple NIckels. So many people and their courageous acts get forgotten about, it is nice to see a book about these men for young readers. 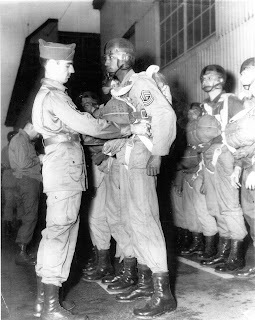 I read a novel called Jump into the Sky last year, so knew about the Triple Nickels, but this added wonderful details.